Delhi Capitals (DC) are all set to play Kolkata Knight Riders (KKR) in the match no 26 of VIVO Indian Premier League (IPL), 2019. The match will take place at Kolkata team's home ground Eden Garden. DC batsman Rishabh Pant was seen timing the ball very well in the latest video shared by Delhi ahead of their clash with Kolkata Knight Riders.KKR tied with DC (DC win Super Over by 3 runs) | Kolkata Knight Riders vs Delhi Capitals Live Cricket Score 10th T20 Match. Rishabh Pant is a showstopper who entertains the crowd really well with his unique batting skill. His one-handed six has also become very famous. Pant always play a quick cameo in the middle-order but DC will want him to play deep to give their side a competitive total. 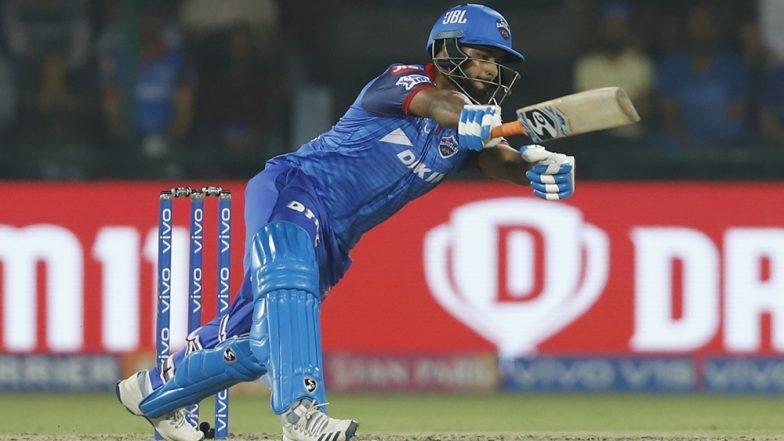 The 21 years old left-handed batsman Pant played a good knock of 78(27) against Mumbai Indians in their opening game in IPL 2019. DC fans will expect him to play similar innings like this in coming matches. With @RishabPant777 timing it so well, we can't wait to see him in action! One cannot forget the last encounter between Delhi Capitals and Kolkata Knight Riders of this ongoing IPL season which went on till the super-over. Delhi Capitals after managing a tie while chasing 185, defended 11 runs in the super over. DC batsman Prithvi Shaw missed out on a hundred in that match as he was dismissed on 99.